Sol, it’s strange, the way things happen. April 15 we finally got our long-awaited building permits. You can believe that was one of the hardest things we’ve done yet—the time, the cost, the partnerships, the zoning variances. And the very next day, you, Sol Levy, passed away on April 16. It’s as if you waited around to make sure we were all right. That’s how it always was with you. You were Solomon Levy, Vice President and leader of MAAG. You met up with us at the very beginning…when MAAG was purely an idea. We were starting to create new partnerships…birthing an art market in the snowstorms of ’09… Weavers Way lending us our first helping hand. That was us, a group of professional artists and dreamers with a vision—you by our side, photographic equipment slung over your shoulders, ready to meet whatever came our way. Judy told us you said “It’s crazy, but I really think they can pull this off.” We haven’t forgotten. When doors were closed to us, you opened them. When we got stressed, you told us nothing worthwhile was ever easy. And you gave us support and sage advice. You were our mentor. We knew you weren’t well, and tried to believe in our heart of hearts, you’d get better. You went through a lot and struggled for months. You said you didn’t want to read emails…you wanted to be AT the meeting. You followed all MAAG news with hunger and delight—I saw that smile on your face and the light in your eyes. You blew us away when you showed up at the Saturday night party during Funky February weekend. In you came, I remembered your dapper hat, with Judy by your side. We knew it wasn’t easy for you, but it was worth every second. And then we showered you in embraces. Sol, we found out about your death yesterday. It really tore us up. But, that day, on April 16, we all agreed, you’re not getting away from us that quickly! No way. We’re going to see this through together…all the way. 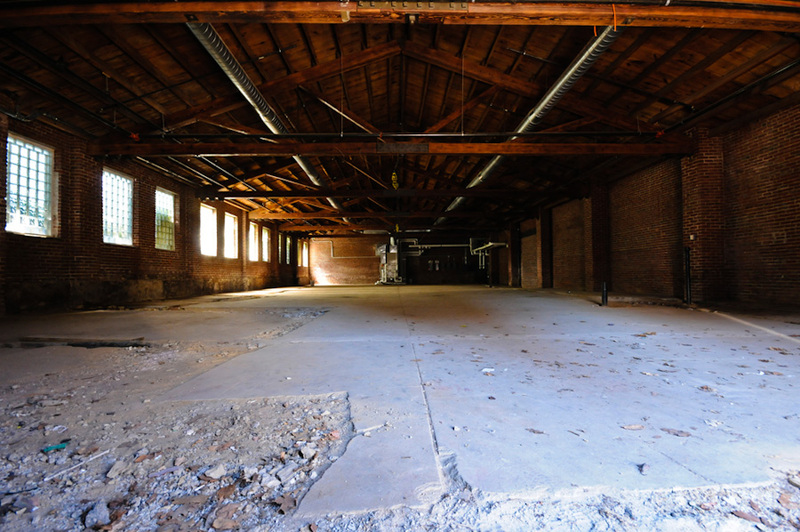 When the Mt Airy Art Garage construction is complete, our art gallery will be named the Solomon Levy Gallery of Art. In memory of Sol Levy, the family requests that a donation be made to the Mt. Airy Art Garage, P.O. Box 18838, Philadelphia, PA 19119 or via this website. Art is about the shaping of consciousness. Before politics enter, before science enters, you have to change consciousness. 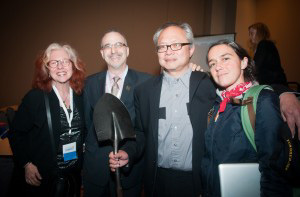 This panel, Creativity and Development—Arts as an Economic Driver, was featured at the Brownfileds 2011 Conference on April 5. Organized and moderated by the Mt. Airy Art Garage, panelists discussed exactly these questions with over 150 scientists, artists, organic farmers, architects, and others in attendance at this session (over 7,000 participated in this conference held in the new wing of the Convention Center). Mel Chin’s Call to Arms! This distinguished panel spoke about the role of community collaborations, partnerships, the coming together of social and civic relationships, developing collective attitudes. They spoke to reconceiving systems to encourage sustainable development and the global implications of local reconstruction. The room was filled with imagination and inspiration. Gary Steuer, Chief Cultural Officer for Philadelphia’s Office of Arts, Culture and the Creative Economy, spoke to art generating the economy while making us better citizens. He described various artists’ projects both locally and nationally, such as the Crane Building (built on Brownfields), that generate transformation in communities and society as a whole—social goals integrating with art. Amy Franceschini makes things that matter. She believes in empowering the participants. So the design is no longer the object but the entire human experience. Amy, with Soil Kitchen, received the first-ever commission in Philadelphia for a temporary public art project, built to coincide with the Brownfields Conference. Soil Kitchen is a windmill powered sculpture that invites you to imagine a green future while exchanging a soil sample (evaluated for contaminants by the EPA at the site) for soup. You find out about your soil contamination, and the City gets stats for the entire city as well. Take matters into your own hands; make the connections between the ground we live on and the food we eat. Mel Chin’s art verifies science— he’s a world citizen and activist. 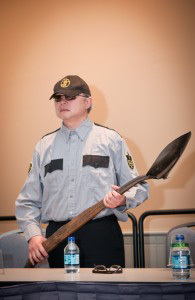 He “speaks” guns with shovels as nozzles. He investigates how art can provoke greater social awareness, government funding, and change. His art challenges you to think, collaborate, participate. Operation Paydirt/Fundred Dollar Bill Project has high stakes—to rescue the lives of more than 30% of children in New Orleans contaminated by lead poisoning (even prior to Katrina!). And that rescue can eventually domino into other cities, like Philadelphia, contaminated as well. Mel feels “compelled into action.” With this particular project, you become transformed to create rescue for others. So how does it work? You download a fundred template and draw your own fundred dollar bill. Or you can go to the Fabric Workshop to their “Philadelphia collections center,” draw it, and hang it on the wall alongside of hundreds of other fundreds. As Mel says, the project is not about him but about anyone who draws their own fundred dollar bill. And when $300 million fundreds are completed, they will be delivered to Congress, via armored trucks making pickups from schools and universities, art institutions, and community centers. Operation Paydirt will then ask Congress for an even exchange of real dollars to clean up the lead-polluted soil in New Orleans making it safe for the children. Here again, is art that makes you part of the solution, one fundred at a time. Mel Chin also announced that the Smithsonian has requested to permanently display and house the fundreds on completion. Quite an event! Not only a contribution on sustainability, but art as a world change agent. 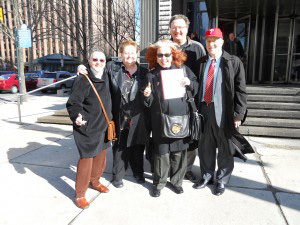 MAAGs “Day In Court”…City Zoning Board Thumbs Up! If you heard rumors about us applauding and yelling “Thank you!” to the Board, smiling till our faces felt like they’d burst, and the entire room celebrating with us, they’re all true. Laughter, smiles, and celebration, it’s contagious and uplifting. So, please bear with me for some special thanks. To Bill Ewing who stepped up and offered us his expertise and time. Gotta love that Phillies cap! To Morrie Zimmerman, our architect, who is just as big a dreamer as we are. To the elected city officials, MALT, MACSC, and others who wrote letters of support. To Liz Macoretta and the WMAN board. To our neighbors who assisted and refined and partnered with us. To our Board who pushes forward with an energy that truly astounds. To every dreamer, every doer, every artist, every art lover who works with us in their own unique way, does what’s possible, and shares in our dreams. So, next steps? You guessed right. We are launching our $100,000 Building Fund. 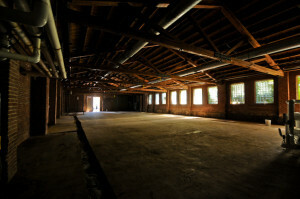 Consider donating generously to help us start by roughing in the plumbing and electrical fixtures, filling in the existing trenches in the concrete floor, and making the building safe for occupants by installing a second exit through the rear masonry wall. Look to the Paypal button on this site. And remember, your donations are tax-deductible. Share in the dreams. Remember, without YOU there is no US. http://mtairyartgarage.org/wp-content/uploads/2011/03/DSCN0508_300-300x225.jpg 225 300 Arleen http://mtairyartgarage.org/wp-content/uploads/2016/06/maag-in-action_main-1024x274.png Arleen2011-03-15 16:30:412019-01-30 15:21:33MAAGs "Day In Court"...City Zoning Board Thumbs Up! that could only be Northwest Philadelphia. Friday night’s Artist’s Cafe was jam packed with a diverse group of local artists, business owners, MAAG members, neighbors and people just coming in off the street. This night was all about introductions and meeting contacts from Germantown, Mt. 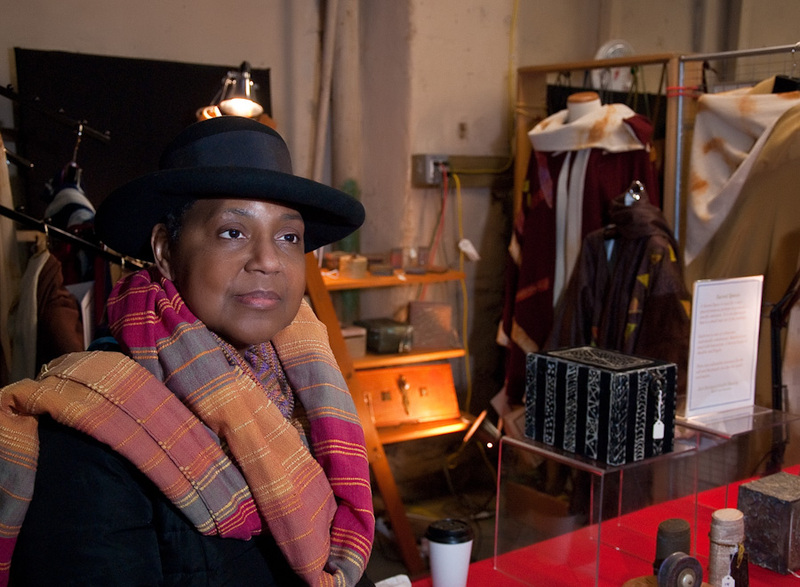 Airy, and Chestnut Hill; it was a way for artists to find supply shops to help perfect their craft, galleries in which to hang the finished pieces and, in turn, a way for local business to thrive. I met web designers, photographers, illustrators, painters and gallery owners; I walked away with over a dozen new possible employers, collaborators, teachers and friends. Workshops and free demonstrations on Saturday gave examples of some new crafts and creative techniques one might find at the Mt. Airy Art Garage. 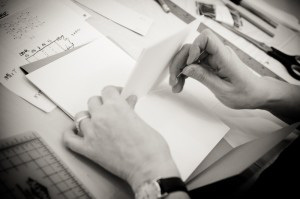 Cofounder Arleen Olshan gave a hands on workshop on how to make a leather belt, board member Donna Globus demonstrated how to bind a handmade book. Dumpster Diva artist Ellen Benson showed kids and adults alike how you can make useful items like luggage tags out of sequin waste and nail polish; Nettie Scott taught us how to make colorful jewelry with polymer clay. Maryanne Helferty gave an inspiring workshop on writing poetry. Once the work was over it was time to party!! With food donated from all over the Northwest, everyone mingled, ate, drank and enjoyed each other’s company while listening to the sounds of Richard Drueding and Rob Sanders and the always entertaining Saint Mad! I think this was a hugely successful weekend for MAAG and it gave people a preview of what MAAG envisions itself to be. What was so inspiring to me was how many people were simply there because they truly BELIEVE in the Mt. Airy Art Garage. Mike Zaikowski from Profiles Studio called MAAG “a breath of fresh air” for the Northwest and particularly Mt. Airy, a place that is finally embracing its potential with an explosion of art and creative ideas that have rejuvenated Germantown Avenue. The Mt. 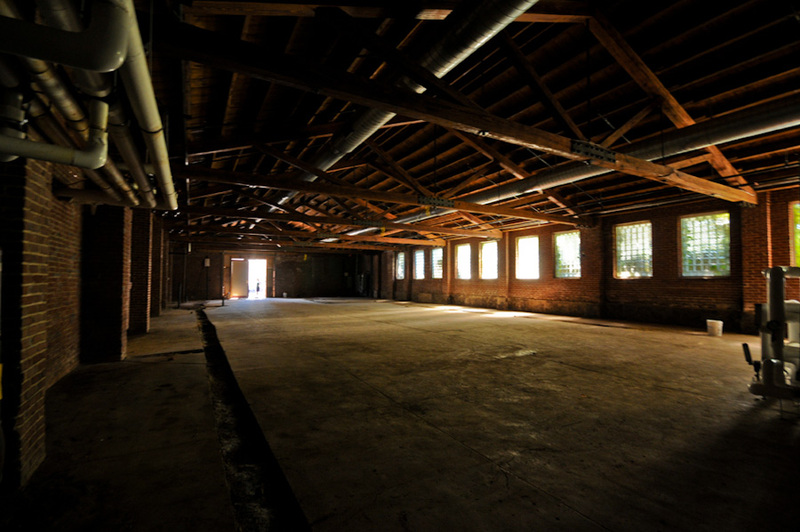 Airy Art Garage will be the hub of the Avenue, a place where artists can meet to collaborate, share ideas, teach their craft and exhibit their work. It will be the place where you can say “Hey, let’s meet down at MAAG to talk about that project we are collaborating on,” or “Let’s go see what the artists are working on in their studios at the Mt .Airy Art Garage.” They want to create a friendly, safe and optimistic place for your creativity to flow uninhibited. Their authenticity is heartening, the energy is infectious, their spirit never falters and this neighborhood is starting to take notice. http://mtairyartgarage.org/wp-content/uploads/2011/03/DSC_5726-web-300x199.jpg 199 300 Arleen http://mtairyartgarage.org/wp-content/uploads/2016/06/maag-in-action_main-1024x274.png Arleen2011-03-01 12:53:442019-01-30 15:21:21Funky February Re-cap! Success @ Ned Wolf Park! 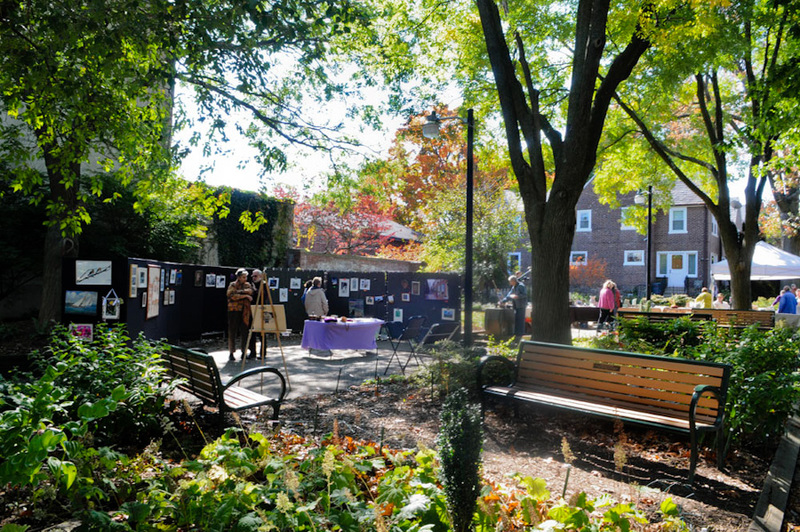 On a picture-perfect fall Saturday, MAAG hosted an art sale in Ned Wolf park to benefit the build out of our new space. 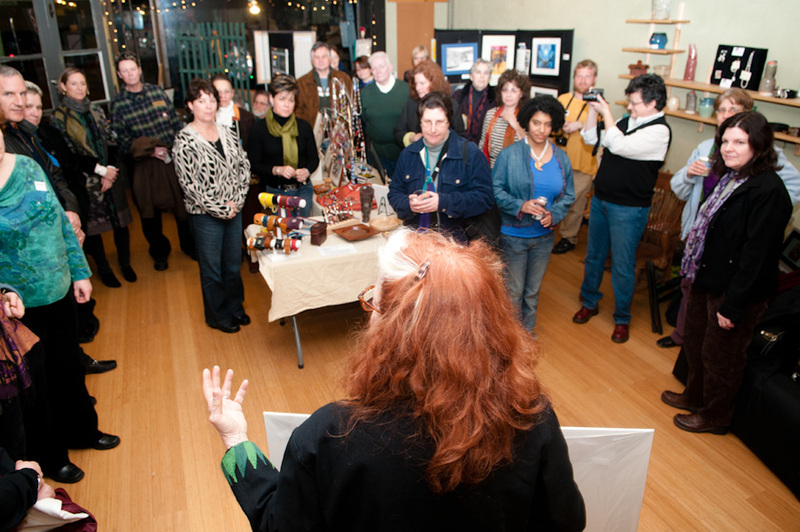 With donated art of all mediums, from pottery to painting to leather to photographs, our event was a huge success. In the air of geniality and giving, we welcomed new members, emerging artists sold their first pieces and people even danced to our music! Thanks to all of our artists and art lovers, friends and volunteers. Because of you we were able to raise money that will help with repairs at 11 West Mt. Airy Ave! Thanks again to our wonderful community. Remember, without You there is no Us! http://mtairyartgarage.org/wp-content/uploads/2010/10/dsc_9300-web.jpg 598 900 Arleen http://mtairyartgarage.org/wp-content/uploads/2016/06/maag-in-action_main-1024x274.png Arleen2010-10-26 20:27:172019-01-30 15:30:36Success @ Ned Wolf Park! Lending Your Hand Would Be Grand! 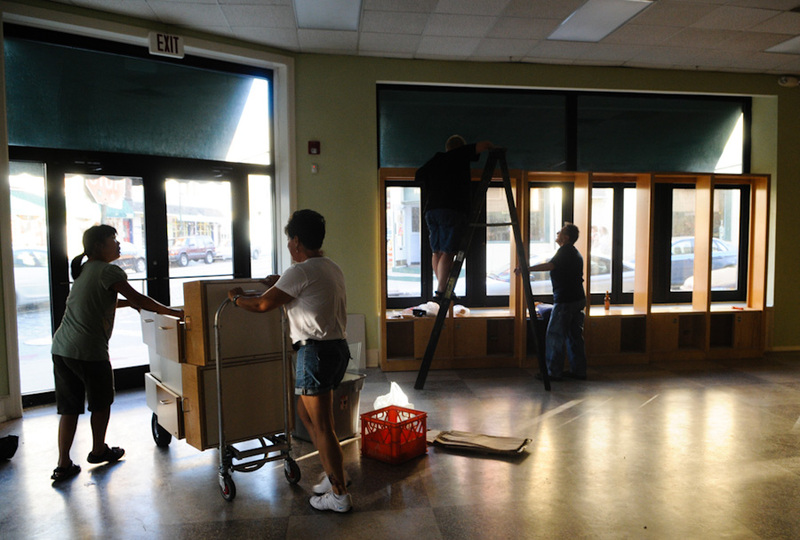 As we take steps toward our opening and start crossing things off our long to-do list we need YOU now more than ever! Our need for volunteers is growing as are the ways you can help. Whenever, wherever and however you are interested in helping out there is a place for you! Construction: are you a carpenter? Handy-man, cleanup crew or know someone who is? We would love to have you join our team! 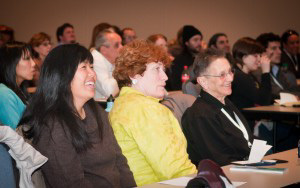 Event Coordinator: help us as we get the word out; in person, online, you name it! We would love to have you on-board and help us achieve our vision. Please contact Linda@mtairyartgarage.org and come and be a part of something great in your neighborhood! http://mtairyartgarage.org/wp-content/uploads/2010/09/dsc_2192.jpg 598 900 Arleen http://mtairyartgarage.org/wp-content/uploads/2016/06/maag-in-action_main-1024x274.png Arleen2010-09-21 19:05:302019-01-30 15:30:22Lending Your Hand Would Be Grand! Moving In and Moving On! 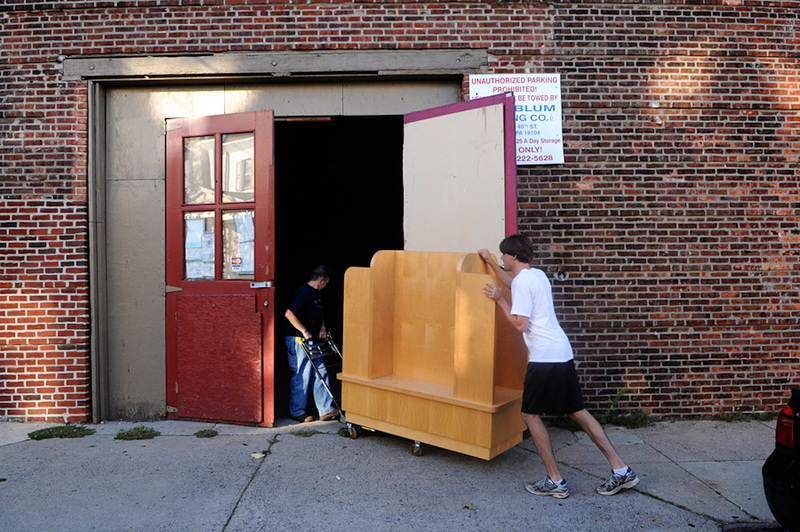 Here at MAAG we are so excited to have our new space, and we even have things to move in! After all, what good is a home without furniture? 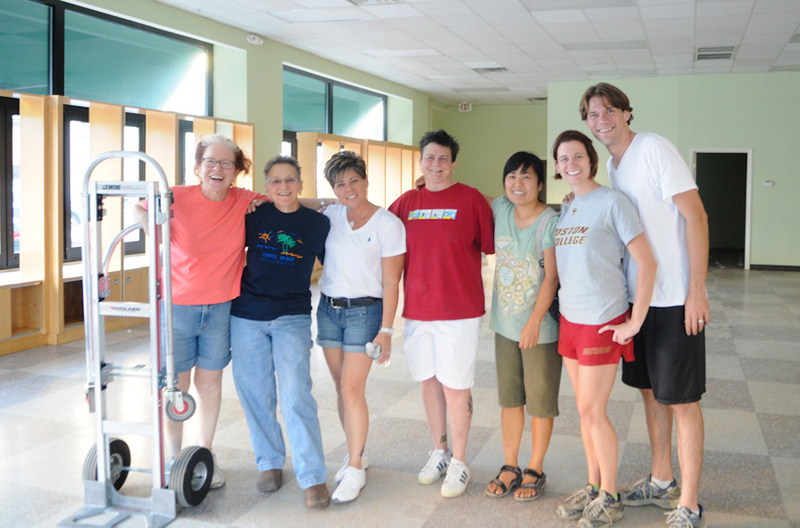 Our wonderful team of members and volunteers helped move in display cases, shelving units and wall displays, all while creating a neighborhood buzz about MAAG. Want to get in on the buzz? Become a member! Volunteer! 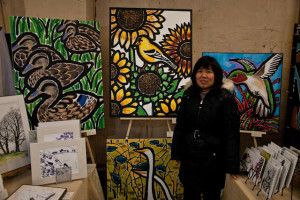 Visit www.mtairyartgarage.org for more info. http://mtairyartgarage.org/wp-content/uploads/2010/09/dsc_2262.jpg 598 900 Arleen http://mtairyartgarage.org/wp-content/uploads/2016/06/maag-in-action_main-1024x274.png Arleen2010-09-10 11:25:452019-01-30 15:30:11Moving In and Moving On! We Have Found A Home! at 9-11 W. Mt Airy Ave.
We couldn’t be more excited! 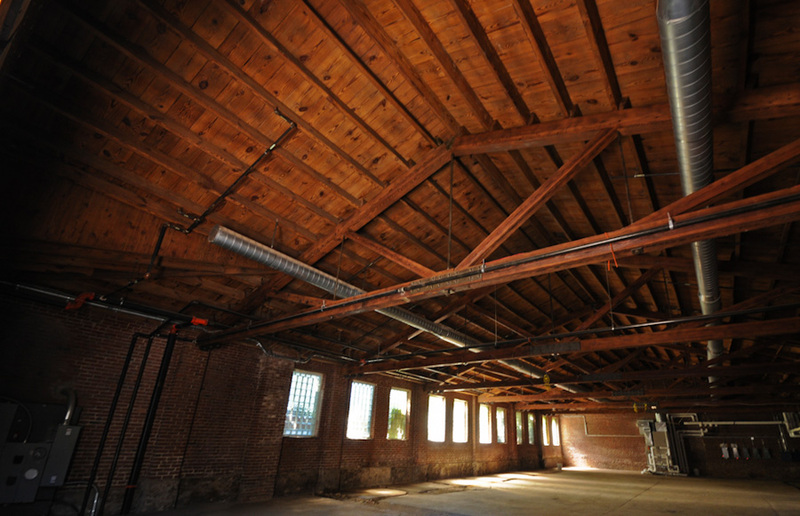 From the moment we saw our new location our imaginations ran wild with its possibilities. Permanent gallery space! 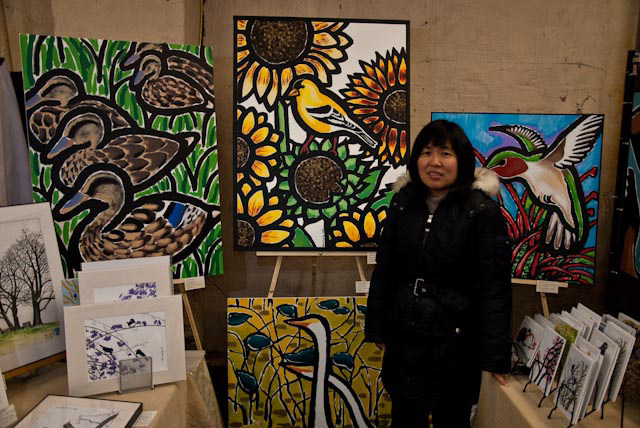 Fine Art and Handcraft Markets! Studio rental space! Performances! Workshops! Oh my! The best part is we can do everything we envisioned under one roof. We have a 5,000 square foot garage in the heart of the Mt. Airy business district with heat, A.C and a beautiful high ceiling, but it’s up to us to build it out. First things first, we need to fix the floor. Once that is done we would like to have community and artist meetings where people can come see the space and share in our vision. Remember, we are a non-profit so we need your help. Become a member and join us on our journey! We are looking for volunteers, donations, referrals and to just spread the word. Our main goal is to bridge community and art – what better way than to contribute to the renaissance of your Mt. Airy Art Garage! If you are interested in being involved please visit our website www.mtairyartgarage.org or contact linda@mtairyartgarage.org. The Mt. Airy Art Garage, on Mt. Airy Avenue in the heart of the Mt. Airy business district. Fate brought it all together, now we need you to make it a reality! http://mtairyartgarage.org/wp-content/uploads/2010/09/dsc_2216.jpg 598 900 Arleen http://mtairyartgarage.org/wp-content/uploads/2016/06/maag-in-action_main-1024x274.png Arleen2010-09-07 09:22:442019-01-30 15:29:47We Have Found A Home! 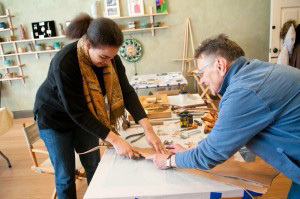 Our vision is to create a cooperative in Northwest Philadelphia where emerging and professional artists can create and sell their work in a community of like-minded colleagues, friends, and neighbors. We expect to achieve this through the creation of a weekend arts and crafts market as well as an indoor space where one can take a workshop, watch art being created, learn about crafts, and purchase art and craft objects. We are currently incorporating as a 501(c3), based in Northwest Philadelphia embracing artists in Germantown, Mt. Airy, Chestnut Hill, and surrounding communities. Mt. Airy Art Garage Cooperative will provide opportunities for artists in Northwest Philadelphia to create, exhibit, and distribute their fine arts and handcrafts; to educate and teach workshops to both adults and youth; to create an ongoing Art Market that highlights unique fine arts and handcrafts; all while recognizing and appreciating the diversity of this unique section of Philadelphia. Launching a membership drive—we welcome you to join! Whether you are an artist or a supporter of the visual arts, the Mt. Airy Art Garage can be the place for you. Find out more at our website www.mtairyartgarage.org and friend us on Facebook. Creating our next Art Market, hopefully for April. Stay tuned for more information. Silent Auction, Sat., May. 15. This will be a unique evening of music and art held at the former PA Governor’s Mansion in Germantown, listed on the National Register as a historic site. You will have an opportunity to bid on unique fine art and handcrafts donated by our members while enjoying music and food donated by area businesses and musicians. This should be an amazing night. You’ll never even feel like it’s a fundraiser. Look for us at Mt. Airy Day, May 1, 2010! The Mt. Airy Art Garage will be reaching out to our neighbors in a big kind of way! We’ll have at least 4 tables “representing!” You’ll find unique fine art and handcrafts, get a calendar of events, and have the opportunity to become a member. Stop by, meet our artists, learn more about our vision and upcoming events! For more information, visit us at www.mtairyartgarage.org, or friend us on Facebook. Celebrating Together To Make The Mt. Airy Art Garage A Reality After completing our second weekend of the Mt. Airy Art Garage, we are all being struck by an unexpected experience. It’s not about how many visitors crossed the portals of our doors. It’s not about artists’ sales, and it’s not about more Holiday marketing ads to bring you in. It’s about community. We have been deeply moved by the warm embraces of visitors thanking us for what we are doing. We become teary-eyed at unexpected (and ongoing) dropoffs of home-made food for everyone at our festivities. 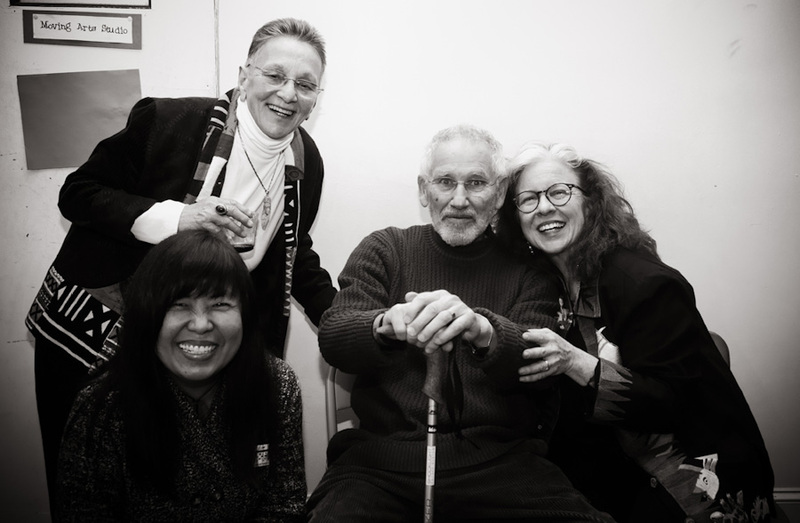 We are touched by the musicians who have stepped forward to volunteer their time, for the love of art, to add warmth to everyone’s spirits in a cold Garage. We laugh with our artists as they run through the aisles in glee having sold a painting of the highest caliber. Everything is offered with a smile, or an embrace, and open heart. The crossroads of cooperation. Weavers Way has embraced our vision with their support. Our brainstorm, our vision became theirs, employees and managers alike. They have provided us with space, with opportunity, with moral support. Businesses in Germantown, Mt. Airy, and Chestnut Hill have stepped forward with food donations to feed the soul, provide Holiday cheer, and add some chocolate to the mouths of babes—old and young alike. Some of the businesses who have opened their hearts to us include High Point Café, Little Night Kitchen, Bredenbecks, Baker Street Bread, Point of Destination Café, Mi Puebla, Platinum Grill, Urban Café, Metropolitan Bakery, and more. Our first weekend, Meg, owner of High Point Café, welcomed us into the neighborhood with wonderful signs, coffee, and scones for all. Neighbors come by with baked goods, home-made treats, and cider! Our Mt. Airy Art Garage musicians have come from all walks of life, all volunteering their time—professionals such as Richard Drueding, Terri Rambo, Barry Goldstein, Zak Stock, Jerry Allender and his trio, Slippery Slope, to name a few. And then we are thrilled to have new, emerging artists like Mark Robinson, Ian Zolitar, Sondra Rodriguez—and that’s for starters. Some have already played, others will come soon. Perhaps Barry put it the best this past weekend when he said “This place is really cool, and I am here to play and be a part of it.” That’s what it’s all about—cooperation, making art happen, all for the love of doing it. So, wish us well for our final weekend. We will have the largest, most diverse offering of fine art and handcraft yet—with live music all day long! 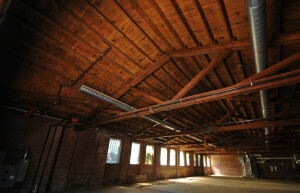 In 2010, we move on to the next phase of our vision and dreams—to create an Artist Cooperative at 542 W. Carpenter Lane. The Mt. Airy Art Garage is not a competition—we are an Art Collaboration in its purest form. We are artists, creating art for you, our neighbors, our community. We are a magnet for energy, support, laughter, song, and for sharing. So join us, celebrate our last weekend, this Saturday and Sunday, Dec. 19-20 from 10 am-6 pm at 542 West Carpenter Lane. We welcome you with open arms.